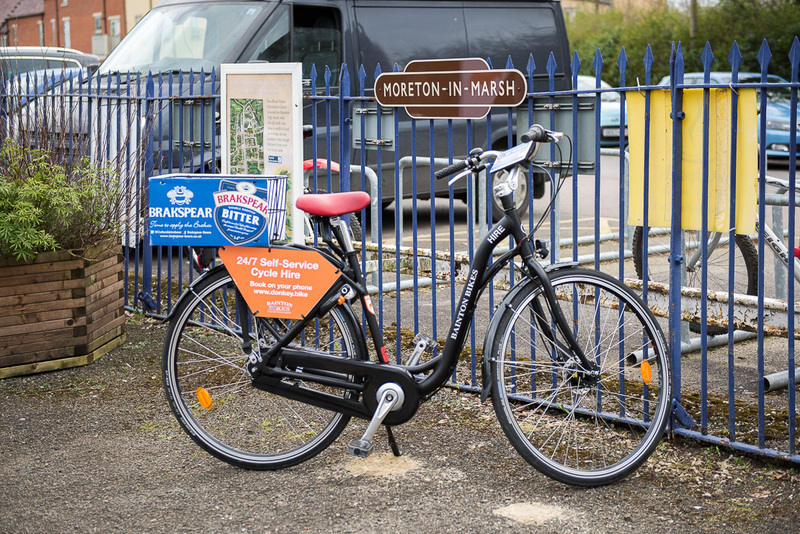 Cotswold Line rail passengers who want to use pedal power to continue their journeys can pick up hire bikes at Moreton-in-Marsh and Kingham stations. The cycles are provided by Oxford-based Bainton Bikes in conjunction with the Danish-based Donkey Republic scheme, which uses a mobile telephone app to open and close the electronic locks on the bikes. Bainton Bikes is also providing cycles for hire at Oxford, Cheltenham Spa and Kemble stations and at locations in the centres of Oxford, Cheltenham, Cirencester, Northleach and Tetbury. The scheme was launched with an event at Moreton-in-Marsh station, attended by Cotswold MP Geoffrey Clifton-Brown and representatives of Bainton Bikes, Donkey Republic and GWR’s Cotswold Line stations manager Claire King. The bikes are fitted with seven gears, lights and a wire carrying basket at the back. To register for the Donkey Republic system and to download the mobile phone app, go to baintonbikes.com, click on the link for cycle hire and follow the instructions. Donkey Bike also works with bike hire schemes in many major cities across Europe.